Can you guess what happened to poor Puggles? Puggles is a 12 ½ year old female Pug x Maltese dog who presented to the clinic having difficulty passing urine. 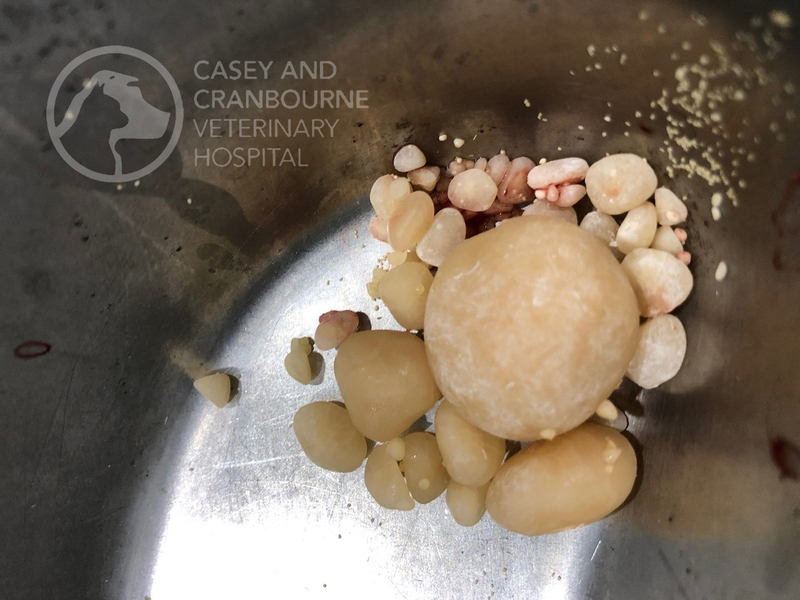 On examination, rock hard bladder stones were palpated. Below is an X-ray of her abdomen, how many stones can you count? She was taken to surgery last week where a cystotomy was performed and in the photo below, you can see all the stones that were removed from her bladder. In collaboration with Royal Canin, Casey and Cranbourne Veterinary Hospital arrange to send these stones overseas for analysis at the University of Guelph, Ontario, Canada. 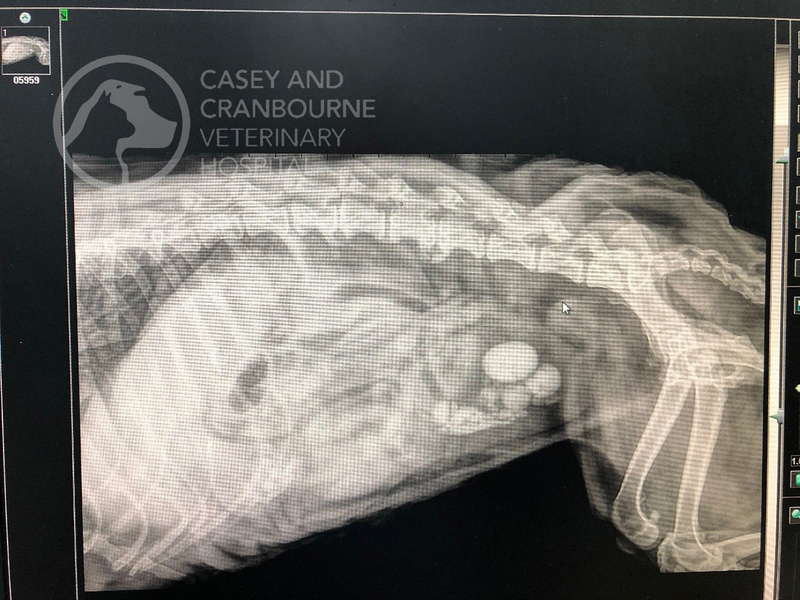 The stones will be analysed in their laboratory to establish their core type as this will determine the specific food Puggles will need eat in future to prevent further bladder stones forming. We are pleased to report that Puggles was discharged on the day of her surgery and is much happier as she is now able to urinate normally. 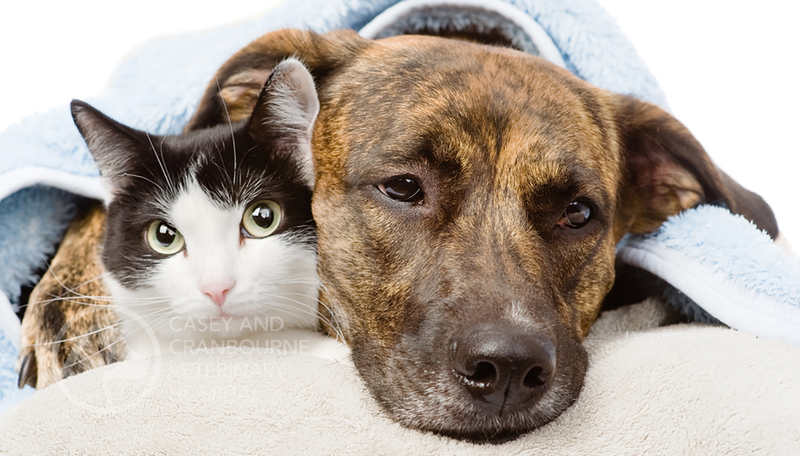 If you notice your cat or dog straining to urinate or passing blood in the urine, please contact the clinic to book a vet appointment today. 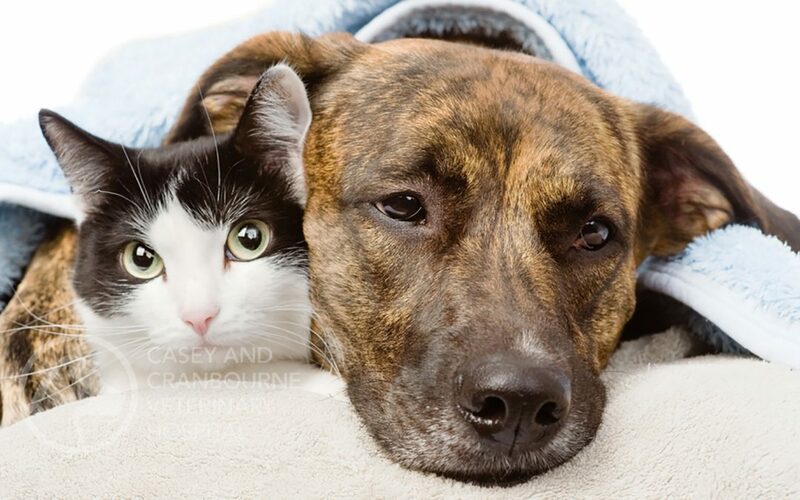 For male pets, there is a much greater risk of having a urethral obstruction due to bladder stones or crystals resulting in a blocked bladder which can be life threatening. 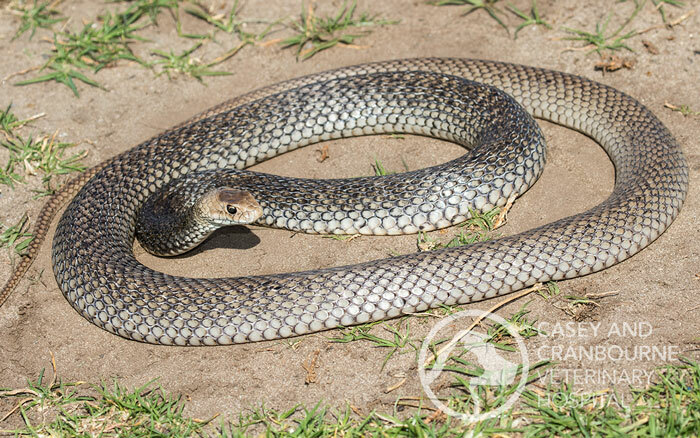 With male pets, it is particularly important to act early as this is an emergency situation.